Since 1936, Quinebarge has served thousands of children, providing a top-notch program full of adventure. 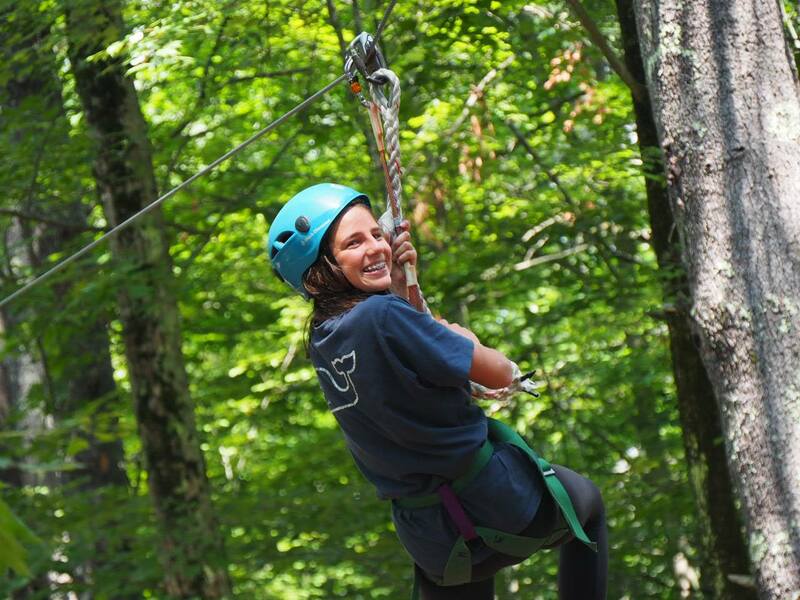 What makes us stand out among adventure camps in New Hampshire? Our well-rounded program is so much more than adventure. Our wide range of activities offers campers a little bit of everything, helping them expand their horizons and step just outside their comfort zones. After a session or summer at Quinebarge, your child will return home more confident, more responsible, happier, and more independent. 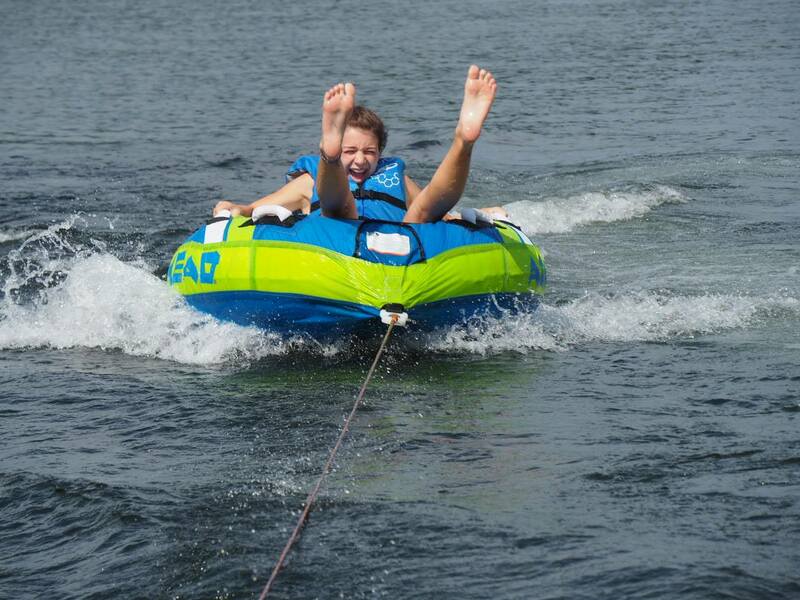 Campers can choose their own adventure at Quinebarge, with campers’ choice activities and trips. One of our most popular activities is Adventure: a combination of our Climbing Wall, Low Ropes, High Ropes, and Zipline. Campers climb, swing, and zip through the trees, without realizing they’re learning skills such as teamwork, communication, and problem solving. For even more enthusiastic explorers, we offer optional daily hiking trips into the White Mountains, with canoeing and camping trips going out weekly. Campers of all abilities can join in the fun, with hikes ranging from beginner trails all the way up to Mount Washington. The joy of spending a day with friends, overcoming obstacles, and seeing the view at the summit is second to none. More important than the fun your camper will have all summer is the sense of friendship and camaraderie with which he’ll return home. By prioritizing friendship, we not only ensure that every camper goes home with at least one new friend, but stop problems like bullying and exclusion before they even occur. As we sing each night during our Friendship Circle: “Friendship is everlasting, here at Camp and later on…” – words we live by, each and every day. Want to learn more? Watch our Camp Video!